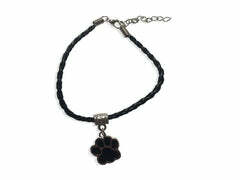 Our beautiful Help For Paws Bead Bracelet in Brown is made of only the best materials and high craftsmanship. Each bead has been carefully crafted and has very distinct detailing to give it a 'planet-esque' look and feel. The beads are tiger eye crystal gems, giving each bead a very distinct look. A truly stunning and elegant bracelet that you can be proud to wear. Carefully Handcrafted Tiger Eye Crystal Bead Bracelet. The bracelet is SO cute! 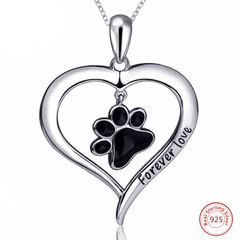 I love the brown tiger eye-like beads and the sweet heart and paws ornament on it. It has a place of honor on my steering column for my passenger to admire when I'm driving! Oh, even the box it came in is sweet. Very happy with my purchase and really like that it's for a good cause. Best wishes from Missouri, USA! 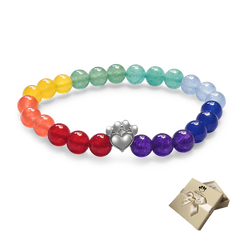 Absolutely beautiful bracelete and for a good cause !!! 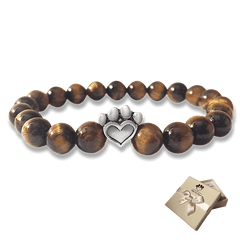 I purchased this bracelet in brown for my friend who had recently lost her cat, he was 17 years old and a house cat, she thought it was lovely as the bracelet had the same shades of brown as her furry baby. 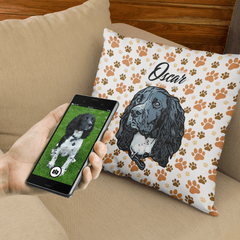 Love the item nice way to remember your pet. Really nice product very pleased. Beautiful bracelet! Thank you so much for all the good that you do! I will be buying more in the future! Rainbow Memory bracelet that I got for myself last year didn't disappoint so remembered your site when looking to buy a present for a friend & whilst getting a Brown one for her bought another for myself too. 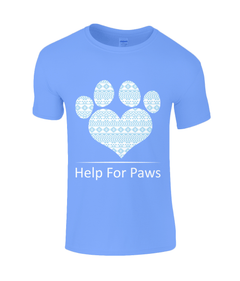 Really happy with my purchase of my help for paws bracelet. 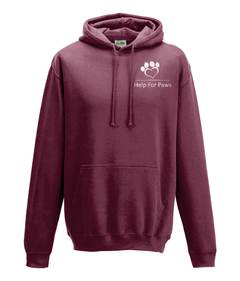 It's really good quality and looks lovely on. Absolutely loverly ..I like it very much..
Bracelets I have bought 2 bracelets, 1 beaded black and white and also a white imitation leather bracelet with a white paw.They are both amazing and very good quality.Well worth the money and plus money going to a good cause. Gorgeous! Just received my tiger eye bracelet and it is amazing I love it and the fact that it's helping an amazing cause makes it all the more gorgeous. Love it It arrived today, and it looks as good as it does in the picture. It fits very well, and is comfortable. It looks great on my wrist. Happy to know it helps a very good charity too, thank you.